Generations at Oakton is dedicated to serving your needs and exceeding your expectations. 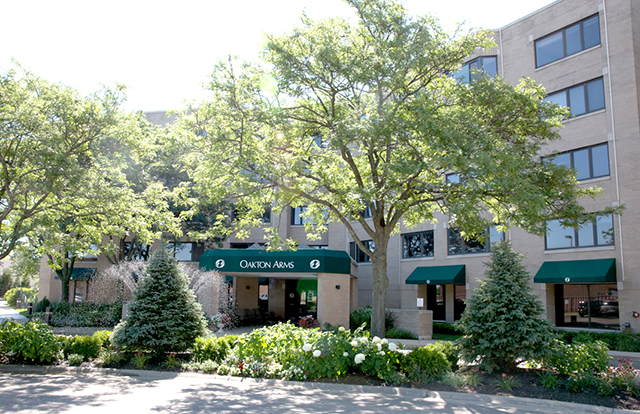 The Oakton Arms facility offers independent living with a vibrant senior community. You’re the same person you’ve always been: independent and interested in life. You insist on staying active, but you want safety and convenience too. At Oakton Arms you’ll enjoy all the comforts of home without all the obligations. You’ll have your own private apartment and delicious meals. Housekeeping, maintenance, security, health and safety checks and transportation are all taken care of. See more amenities and concierge services. Learn something new, express your talents and make friends at guest lectures, creative classes, field trips, club meetings and theme parties. Enjoy sundaes in our bistro or card games in our library. Energize with a fun fitness class or relax in your serene private apartment. It’s your choice and everything you need is right here. Learn more about activities, or see what a typical day is like for our independent living residents. Plus, if you ever need help with daily routines to stay independent, just call the home health care company of your choice. Enjoy this new chapter of your life!